#306: Sandy Trail 100 Yards to Semi-Private Beach! The Perfect Getaway! Property 54: #306: Sandy Trail 100 Yards to Semi-Private Beach! The Perfect Getaway! Property 55: A classic and sweet Cape Cod getaway! Property 56: Peaceful 2 Bdrm Cottage WiFi A/C Ingrd Pool & Walk To Beach! Beautiful 3 bedroom cottage with huge deck and walk to private beach! Property 58: Beautiful 3 bedroom cottage with huge deck and walk to private beach! Walk To Sea Street Beach! Property 60: Walk To Sea Street Beach! Property 62: #419: Dog friendly cottage in unbeatable waterfront location with amazing views! ***WALK TO RESTAURANTS, SHOPS AND LIQUOR STORE*** CLOSE TO DOWNTOWN CHATHAM!!! Property 63: ***WALK TO RESTAURANTS, SHOPS AND LIQUOR STORE*** CLOSE TO DOWNTOWN CHATHAM!!! Beautiful Waterfront Retreat with Saltwater Dock! Property 65: Beautiful Waterfront Retreat with Saltwater Dock! Eastham, MA - Charming Cottage - Steps to the bay and private beach! Property 66: Eastham, MA - Charming Cottage - Steps to the bay and private beach! FABULOUS WATERFRONT!! 3bdrm/2bth Pet Friendly!! Property 67: FABULOUS WATERFRONT!! 3bdrm/2bth Pet Friendly!! Property 74: Enjoy this Hidden Hideaway in a prime location! 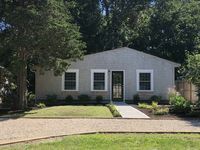 Property 75: Charming Cape Cottage in Brewster-Cancellation 7/20-27! #420: As close to the water as you can get! Sweeping views! dog friendly! Property 79: #420: As close to the water as you can get! Sweeping views! dog friendly! Property 81: Beautiful, Walk to Beach, Family Friendly Cottage! Sea View Park Location 600 yards to beach!! Property 83: Sea View Park Location 600 yards to beach!! Property 93: Walk down quiet country lane to private Bay Beach. Studio Cottage - .3 mile walk to S Village Beach. 1 mile to W Dennis Beach. Property 95: Studio Cottage - .3 mile walk to S Village Beach. 1 mile to W Dennis Beach. Just .5 mile walk to Nantucket Sound beaches! Property 100: Just .5 mile walk to Nantucket Sound beaches! Great place for 2!! Very clean and owners are super helpful! My wife and I stayed here for a last-minute long weekend to celebrate our 30th wedding anniversary. 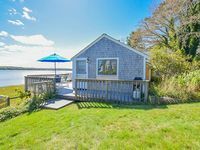 It's a very cozy little bungalow overlooking Nauset Cove, which is lovely to look at any time of day. The gas (heating) stove is an especially nice feature. It's also only a mile to Orleans center, where we got on the Cape Cod Rail Trail for long rides to either end and went each night to fantastic restaurants. We'll bring friends next time.